The new one. The dynamic Marathon with extra comfort. For everyone who wants to be mobile every day - while completely trusting in their beloved bicycle. 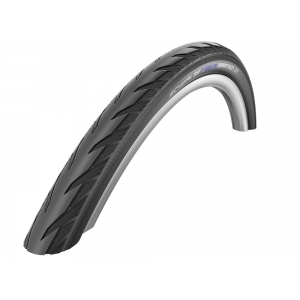 The exclusive tread design hides the newly developed DualGuard, which protects against cuts and punctures in the same reliable way. Server Time: 21/04/2019 14:10:43, Render Time: 0.012 seconds.